Instant Job search? Download now Universalhunt.com mobile app to apply instantly for a job of your dreams. Professionals are relying more and more on mobile devices to communicate with the world around them and that trend spreads to the job search process. Mobile job search app allows professionals the accessibility to keep up with the latest job openings, and the privacy to seek new possibilities on their own mobile device. Who are using these apps? Perhaps not surprisingly, right from recent college graduates to high-level professionals in the companies are using these apps to explore new opportunities in every step of their career. These apps help professionals in setting up job alerts, saving search criteria, utilizing sharing options on the mobile device, etc are all excellent ways to find jobs and network on your mobile device. Whether you prefer a smartphone or a tablet, your job search can go with you wherever you are, giving you more possibilities to quickly find and apply to the job of your dreams. At the same time, a vital segment of app users prefer to search by location to find jobs in their city, state, or region. 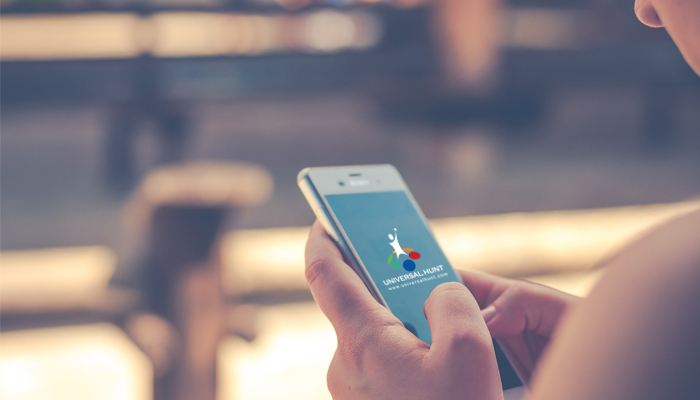 Unlike conventional job boards, Universalhunt.com, a global professional networking and career portal, offers a convenient mobile app for professionals across the globe to ease their job search process. – Just like the full website, the mobile app lets you search for jobs, and filter the desired results based on the selected industry, location/sector, salary etc. – Universalhunt.com aggregates listings from the tens of thousands of jobs posted by companies across the globe. – Candidates get instant notifications of already applied jobs and new jobs if posted by the company. – Also lets you send resume to any new job you apply instantly. In this modern era, every professional needs to be totally updated about the global career opportunities. With a very strong percentage of members from the Middle East, South East Asia, and Africa Universalhunt.com is a leading player in offering a global networking and a career platform. Join the community and start networking with people around the globe and update yourself with professional opportunities, possibilities, and growth.